Are you looking for a career in a mission-driven organization with a fun, enthusiastic, and collaborative environment? Check out our job openings below. We are a global, nonprofit plasmid repository dedicated to making it easier for scientists to share research materials. To Apply: Please email your cover letter and resume to [email protected]. Only applications including both a cover letter and resume will be considered. Addgene is a thriving nonprofit founded in 2004 that facilitates biomedical research and discovery. Our biorepository stores, archives, and distributes DNA-based materials called plasmids for academic scientists around the world. Addgene's plasmid collection is used to advance research in a wide variety of disciplines, including cancer, heart disease, and neurodegenerative disorders. We are a growing company offering opportunities for scientists and non-scientists alike to contribute to the scientific community. Addgene is committed to creating a diverse environment and is proud to be an equal opportunity employer. All qualified applicants will receive consideration for employment without regard to race, color, religion, gender, gender identity or expression, sexual orientation, national origin, genetics, disability, age, or veteran status. Get to know some Addgenies featured in our Career Videos series! We offer a comprehensive 100&percnt; company-paid benefit package that includes health, dental, life, short-term and long-term disability insurance. In addition, employees are encouraged to participate in an individual retirement account. We also offer flexible spending accounts for medical and dependent care expenses. The cost of public transportation or parking is fully paid by the company. Our generous and flexible paid time off practices help maintain work life balance while providing opportunities for relaxation, travel, and fun throughout the year. In addition to the 10-12 paid holidays each year, we offer vacation, personal and sick time as well as winter break. We also offer paid parental leave. We have a casual work atmosphere where everyone’s opinions and ideas are valued. We offer opportunities to work on and lead projects in a variety of areas. We encourage professional development for our employees and provide support to take advantage of such opportunities. We host professional development discussion groups, offer on-site training, and make funding available for outside programs. Departmental career ladders allow opportunities for advancement and goal-oriented performance discussions take place at least annually. We encourage and support team building activities both within and outside of the workplace, including volunteer projects, book club, cook-offs, trivia nights, and sporting events. We celebrate birthdays, work anniversaries, and successes. Addgene is located at 490 Arsenal Way in Watertown, MA. *Please note benefits may differ for part-time employees. Addgene is seeking an IT Administrator to manage all aspects of our organization's corporate computer systems and networks. Please send your resume and cover letter to [email protected]. Only applications with a resume AND cover letter will be considered. Addgene is currently seeking an individual to join our team as an Shipping Customer Support Specialist. Addgene is currently seeking a Customer Support Specialist to join our team. Though Addgene’s focus is supporting the scientific community, no technical or scientific background is required for this role. 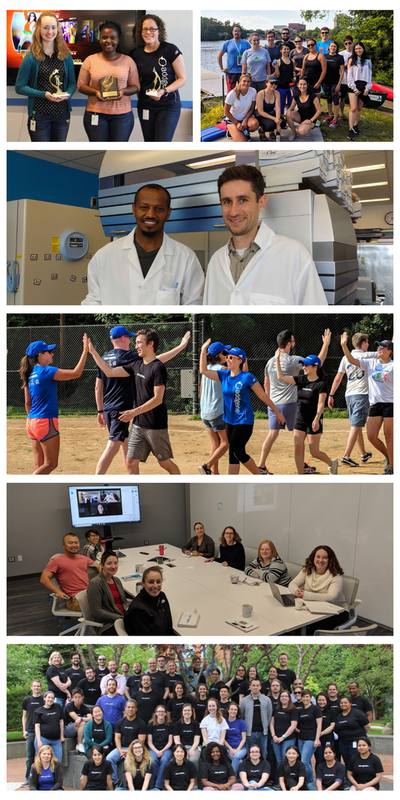 Customer Support Specialists at Addgene keep business activities organized and moving forward. You will have the opportunity to perform a wide range of tasks related to order processing and internal operations. This is a full time, entry level opportunity. Provide high-quality customer service via email and telephone. Answer customer questions in a timely manner for questions related to placing orders, approving legal agreements, shipping, and payment. Review and process order-related documentation such as legal agreements and import permits. Work both independently and with team members to troubleshoot, escalate and resolve customer issues to ensure customer satisfaction and enable success of other teams at Addgene. Maintain knowledge of new Addgene services and changes to internal processes. Prioritize multiple customer requests and administrative tasks simultaneously. Communicate and collaborate daily with team members to share information, and improve internal and external processes. Collaborate across teams to work on a variety of projects to improve customer service and general operations. Utilize provided opportunities for personal and career development. Addgene is seeking a Part-time Lab Assistant to support the Plasmid Lab Division of the company. The principal activities of the role will be preparing common reagents in the laboratory, as well as participating in general lab processes, which include the generation of bacterial stabs for order fulfillment. In this position, you will assist the laboratory staff as requested and directed with preparing and packaging plasmid, viral and DNA orders.